Sambil menunggu takeaway bebek aromatik dimasak, saya menimang kembalian koin 2 pound dari penjual. Di salah satu sisi koin ada tulisan: elizabeth 2 dei gra reg fid def. Diambil dari bahasa latin: Elizabeth II Dei (tuhan) gratia (berkat) regina (ratu) fidelis (iman/fidelity) defensor (pembela/defender). Yang kalau disatukan: atas berkat rahmat tuhan, elizabeth 2, ratu dan pembela iman. Ckckck, Inggris itu negara religius. Tulisan kedua: Standing on the shoulder of giants. Pasti tahu dong, ini dari siapa? Ya betul, dari Sir Isaac Newton. Scottish weather is moody. Sunshine in the morning, rainy in the evening. Whenever I feel lazy to cook, can food is a savior. Note the tay bridge of dundee at the background of this pic. • Full HEU fees (only) for students who are EU for fees purposes." Foto foto di sekitar Dundee. Sempat ada badai beberapa waktu lalu menjelang musim panas. Foto yang sedang baca Kindle itu di botanical garden. Ada satu foto nyangkut yang bukan di Dundee, tapi di Glasgow. Ayo tebak foto yang mana. Buat teman teman yang tertarik socio-legal studies atau berkecimpung dalam "Access to Justice", mungkin edisi khusus Law, Social Justice & Global Development ini menarik untuk ditelaah. 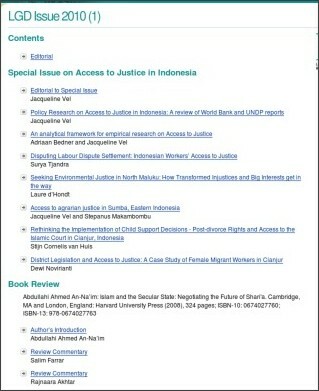 Terutama paper dari pak Adriaan Bedner cs yang menyediakan kerangka analisis untuk penelitian empiris mengenai "Access to Justice"
Ini tips bagus buat yang mau beli e-reader. 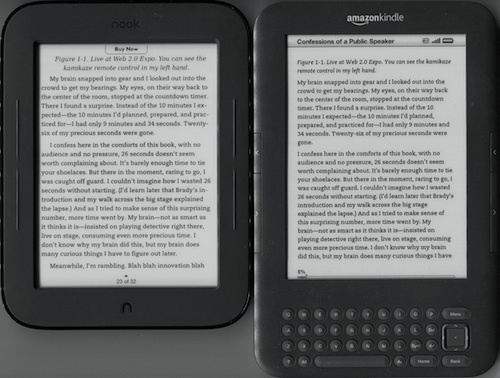 Disini nggak diceritain baterainya tahan yang mana, karena konon nook simple touch 3x lebih tahan dari Kindle 3. Kalo ebook (baik yang gratis maupun harus beli) kayaknya masih banyak di Amazon ketimbang Barnes & Noble. You may have learned that Star Trek's Prime Directive is the obligation not to interfere with underdeveloped civilizations. This is how this had been practiced on earth. Well, I guess these people won't make it to the warp era though. Apakah kita punya traktat perlindungan Domestic Worker dengan KSA? Kalau cuma lewat MoU saja sih kurang kuat.... Mana traktatnya? Universitas Terbuka di Korea is a very creative collaboration between our embassy there, students and the Open University. This allows Indonesian migrant workers in Korea to study at the University at low cost. I hope our embassies and students in another countries, especially Saudi Arabia, can follow-suit. I thought this might be interesting. The UK Information Tribunal decided that privatised water utilities are not public bodies under the Environmental Information Regulation (EIR). The EIR is a transposition of the Aarhus Convention and water utilities are supposed (in theory, at least) to have been covered by it. Full judgement is available at the UNECE website here . The short article below is from Shepherd & Wedderburn. This decision has been criticized by regulatory experts. There are some initiative to make English water utilities covered by the FoI, through a designation by the Secretary of State under s.5 of the UK FoI Act. This initiative were not successful on the latest s.5 designation, but there are opportunities that it might be covered in the future designation. Hence, at the moment, English water utilities are covered neither by the FoI Act nor the EIR. It would be interesting to have the case above brought before the European Court of Justice. The Upper Tribunal (Administrative Appeals Chamber), inSmartsource Drainage & Water Reports Limited ("Smartsource") v The Information Commissioner, has upheld the decision of the Information Commissioner ("IC") and found that privatised water and sewerage companies do not fall within the definition of public authorities for the purposes of the Environmental Information Regulations 2004 ("the Regulations"). The scope of determining what is a public authority under the Regulations has always been wider than under the Freedom of Information Act 2000 ("FOIA"). This case will therefore also be of interest to privatised utility companies and other regulated bodies, as it looks at the issues of control and providing functions of public administration in relation to determing what is a public authority. Under the Regulations, the public has a right to request environmental information from any public authority. The definition of "public authority" includes: a government department; all organisations covered under the FOIA; or any other body or person that carries out functions of public administration or is under the control of a public body and exercises environmental duties. Smartsource made a request for information from 16 different privatised water and sewerage companies under the Regulations. All of the water companies refused to provide the information on the grounds that they were not public authorities for the purposes of the Regulations. This is not bad for a start. It doesnt teach you the techniques of zig zag reading and all that, but aint bad at all. Been thinking that speed reading is actually very much like a meditation. It's a "silent reading". Kelihatannya rapi dari luar, tapi kalau ditilik lebih dalam masih kacau juga. Beberapa regulator masuk kategori badan publik di satu dokumen, tapi tidak di dokumen lainnya. Mungkin sistem ini lebih memberikan kepastian dibandingkan sekadar interpretasi Undang Undang. Yang menarik dalam konsultasi itu adalah analisis 'fungsional' dan 'budget' mengenai badan publik. Saya copy paste pertanyaan konsultasinya dibawah. given case would not act as a reliable guide that the person in question would satisfy the test, as the question needs to be considered in all the circumstances of the particular case at hand. • The extent to which in carrying out the function in question the body is publicly funded. operate under the authority of the government or of another part of the public sector? • Whether the organisation exercises extensive or monopolistic powers, for example, by regulating entry to a trade, profession or sport. • Whether the organisation's source of power is derived from more than voluntary submission to its jurisdiction. For example, where a party has no choice but to submit to its jurisdiction if they wish to take part in a particular activity. • Whether the organisation seeks to achieve some collective benefit for the public, and is accepted by the public as having the authority to do so. • Whether the organisation participates in a significant way in the social affairs of the nation, pursuant to the public interest. • In the case of a regulatory organisation, whether but for the existence of that organisation, the government would inevitably have intervened to regulate the activity in question. 21. Considerations that might be suitable to be taken into account under this heading include whether the organisation concerned receives public funding and whether the benefits of public access to the information held appear to outweigh any negative impacts, for example in terms of additional burdens on resources. 22. It may be appropriate to extend coverage of the Act only to those organisations that receive funding from the public purse or from fees charged as a consequence of performing a public function. Since only information relating to an organisation's public functions would be covered by the Act, it would seem logical to specify those functions as the ones in respect of which an organisation to be included in a section 5 order should receive public funding. 23. There are a number of different sources of public funding for organisations, including core funding, funding for infrastructure purposes and funding to deliver specified services. Some functions of a public nature are funded by the charging of a levy. For example, the Pensions Ombudsman, who is already covered by the Act, is funded by a levy on pension providers. Q3: Should some form of public funding be essential in order for an organisation to be considered for inclusion in a section 5 order, or should this be just one of a number of relevant factors to be considered? Q4: Are there any organisations or categories of organisations that do not receive public funding but that you believe should be covered by the Act? Please explain why. I suppose nothing is value free. Transparency itself is a norm for some people, although oftentime it is difficult to prove that its benefits outweighs its cost. This discussion must be very interesting. Unfortunately I am unable to find its archive. Well, some other time maybe. It’s a bit late for now. Time to hit the bed. Test done.